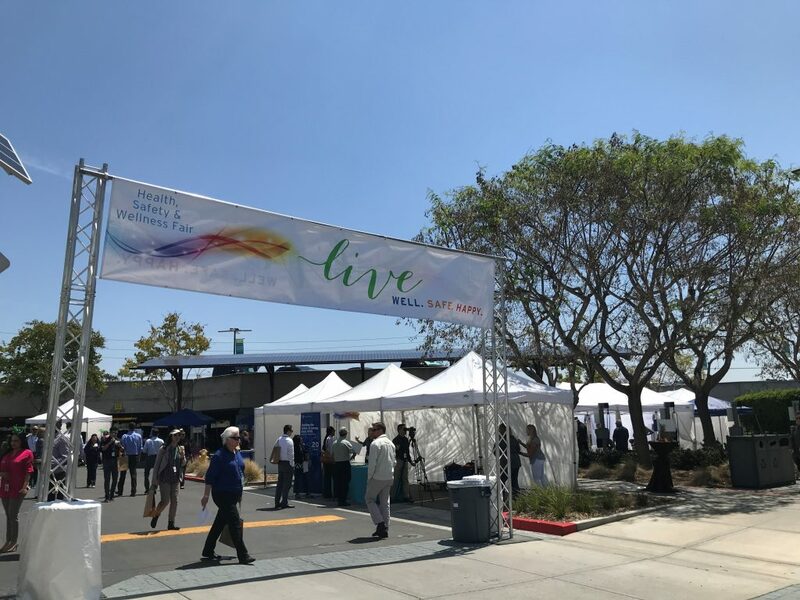 San Diego Gas & Electric (SDG&E) officially launched their Meet Well Pledge for their 4,000+ employees this April as a part of the Live Well @ Work initiative. 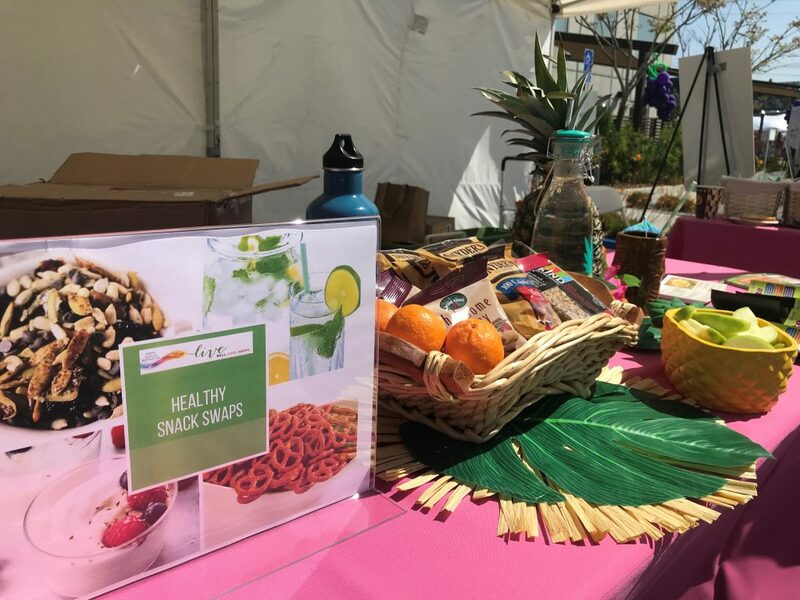 The launch of the pledge took place at their annual Health, Safety, and Wellness Fair in an effort to encourage healthier meetings, events, and celebrations at work. The Meet Well Pledge outlines recommendations for offering healthier food and beverage options, integrating physical activity and stretch breaks, as well as being mindful of waste and packaging to promote sustainability. 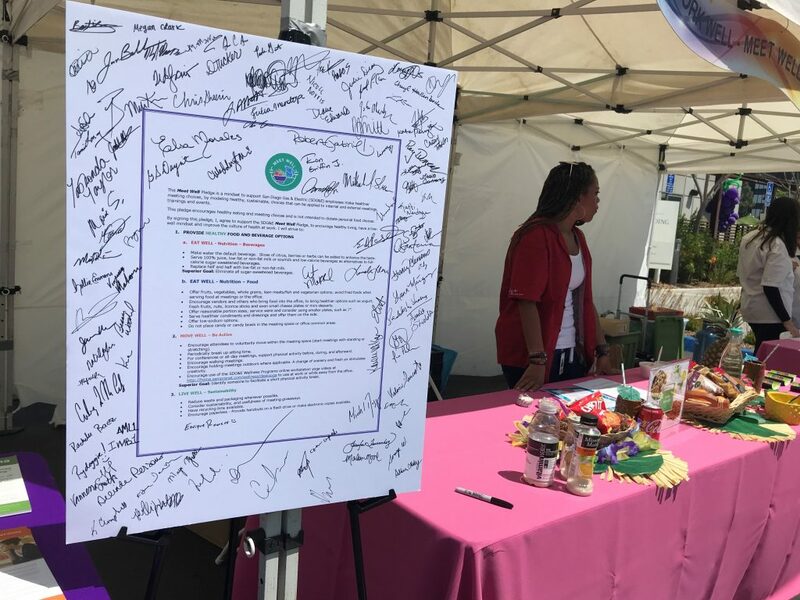 In partnership with SDG&E’s wellness team, Live Well @ Work co-hosted a booth at their wellness fair to raise awareness and motivate employees to sign the pledge. 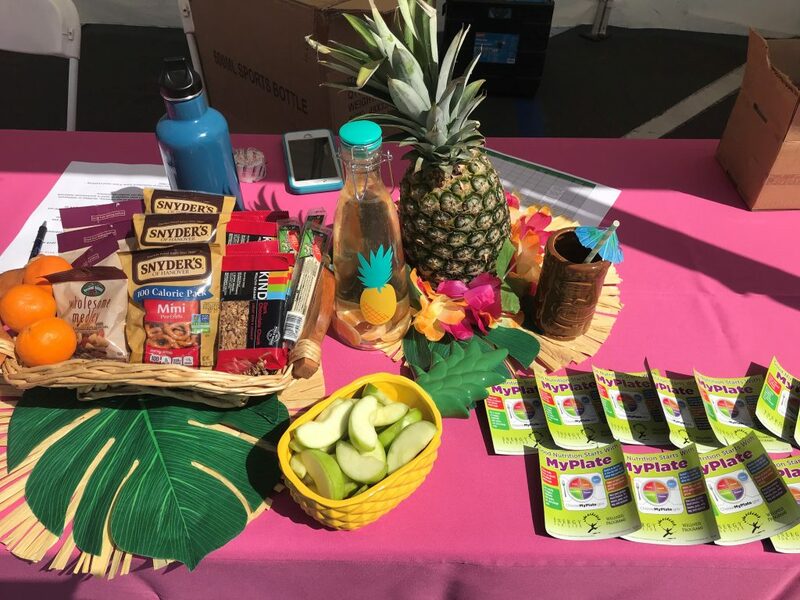 The booth offered healthy food samples such as fresh apple slices and string cheese to show examples of healthy meeting snack ideas. 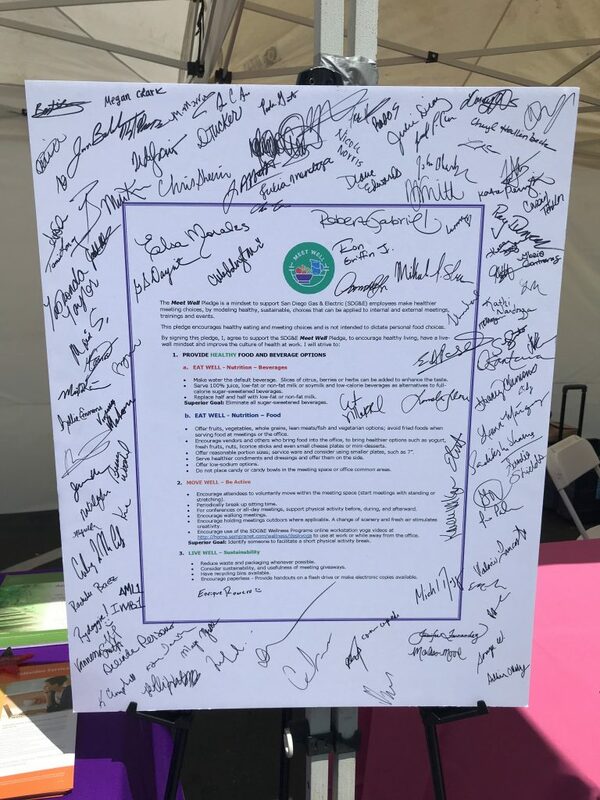 In addition, hundreds of employees signed a large printout of the Meet Well Pledge to show their commitment to hosting healthier meetings. For program funding information, please see Live Well @ Work Initiative.